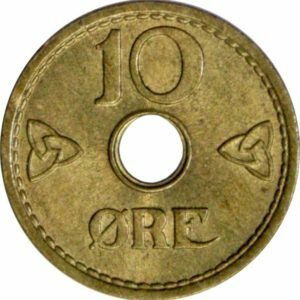 10 øre dated 1917, struck under King Haakon VII. Grading: Mint State (choice!). Reference: NM (1992) 114 type I. 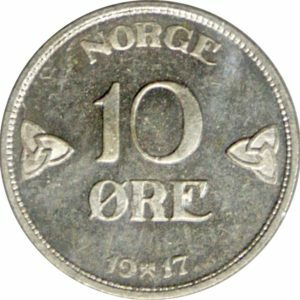 Weight: 1,45 g.
10 øre 1942 struck by The Royal Mint in London on behalf of the Norwegian exile government. Grading: XF (spots). Reference: NM (1992) 268. 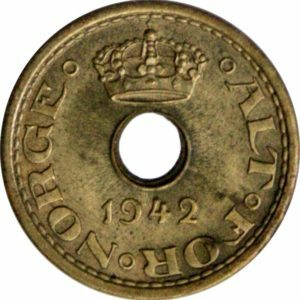 Weight: 1,5 g.
10 øre 1942 struck by The Royal Mint in London on behalf of the Norwegian exile government. Grading: Mint State. Reference: NM (1992) 268. 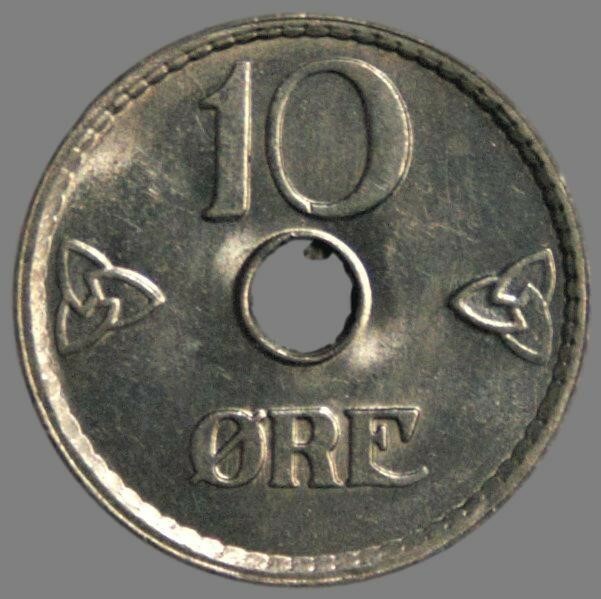 Weight: 1,58 g.
10 øre dated 1948, struck under King Haakon VII. Grading: Mint State. Reference: NM (1992) 133 type III. 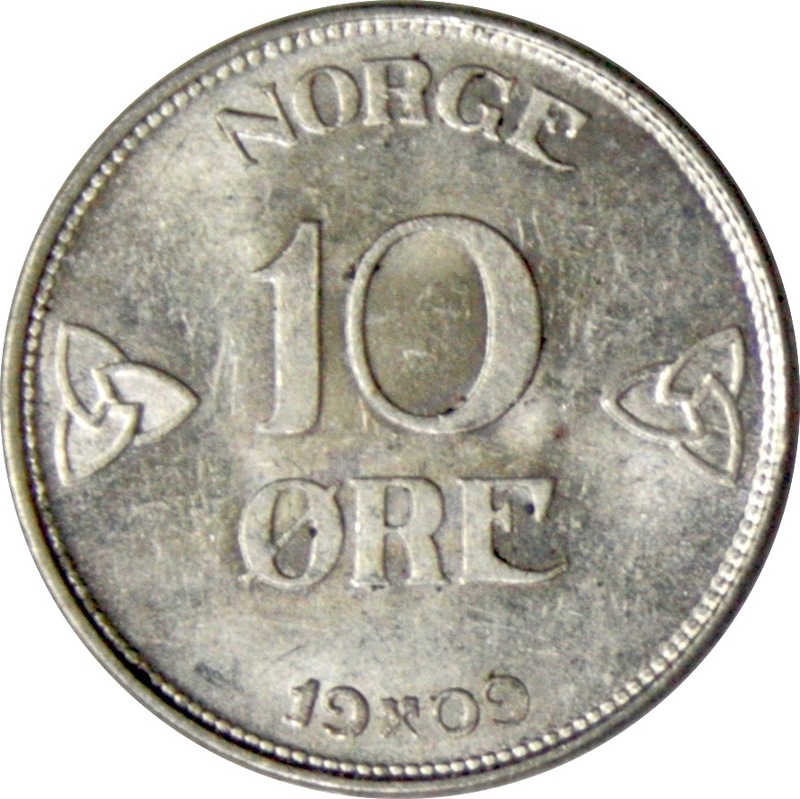 Weight: 1,5 g.
10 øre dated 1948, struck under King Haakon VII. Grading: Mint State. Reference: NM (1992) 133 type III. 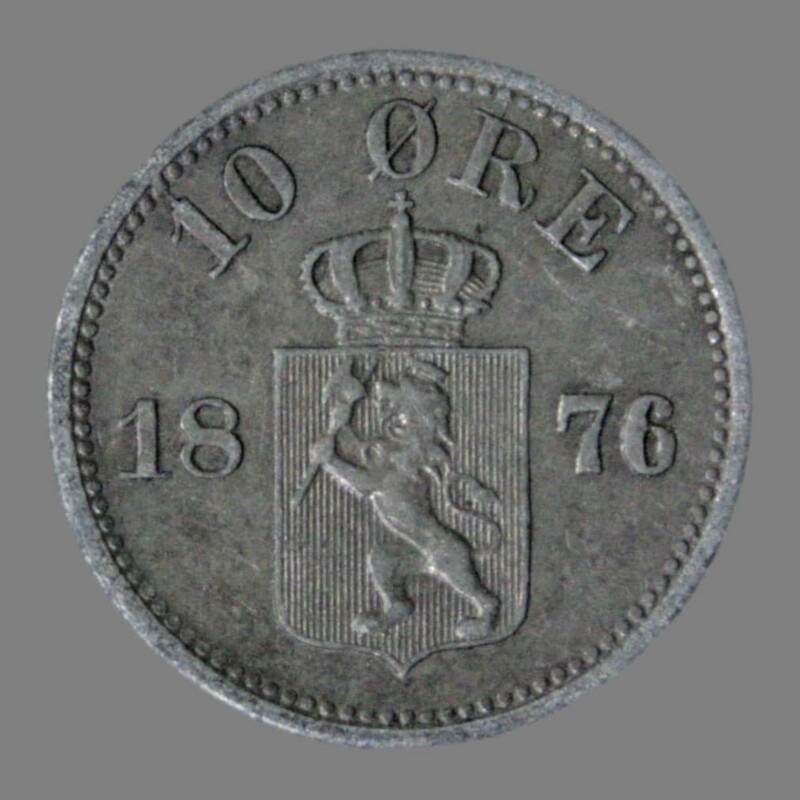 Weight: 1,48 g.
10 øre dated 1894, struck under King Oscar II. Grading: Mint State. Reference: NM (1992) 90 type II. 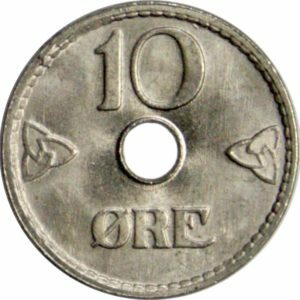 Vekt: 1,46 g.
10 øre dated 1909, struck under King Haakon VII. Grading: Good XF / Mint State. 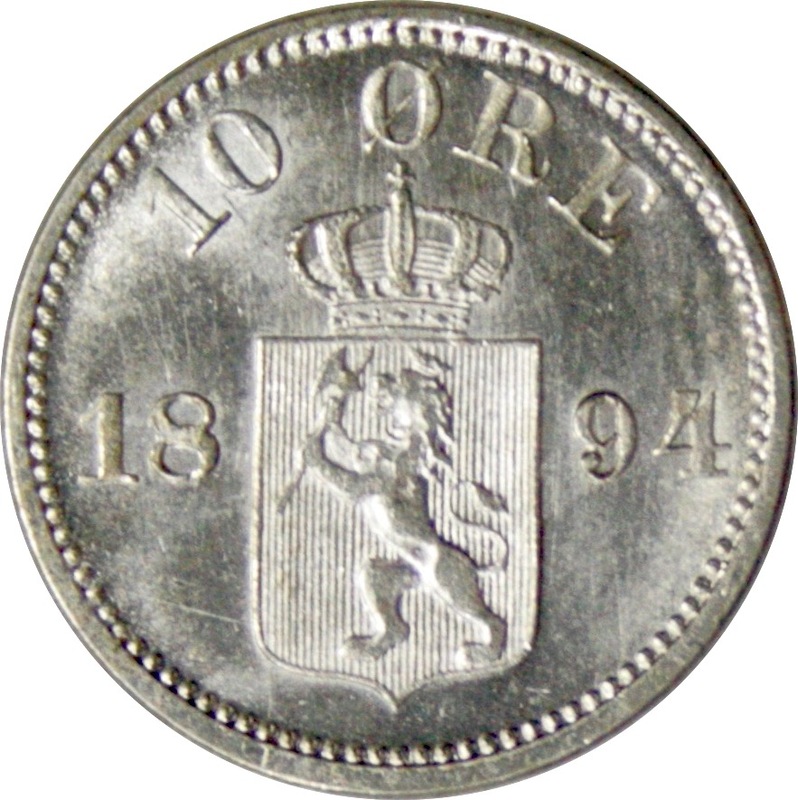 Reference: NM (1992) 107 type I. Vekt: 1,48 g.
10 øre dated 1899, struck under King Oscar II. Grading: F. Reference: NM (1992) 93 type II. Weight: 1,41. 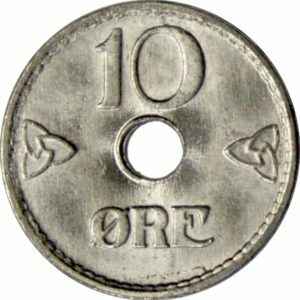 10 øre dated 1926, struck under King Haakon VII. Grading: Mint State. Reference: NM (1992) 123 type III. 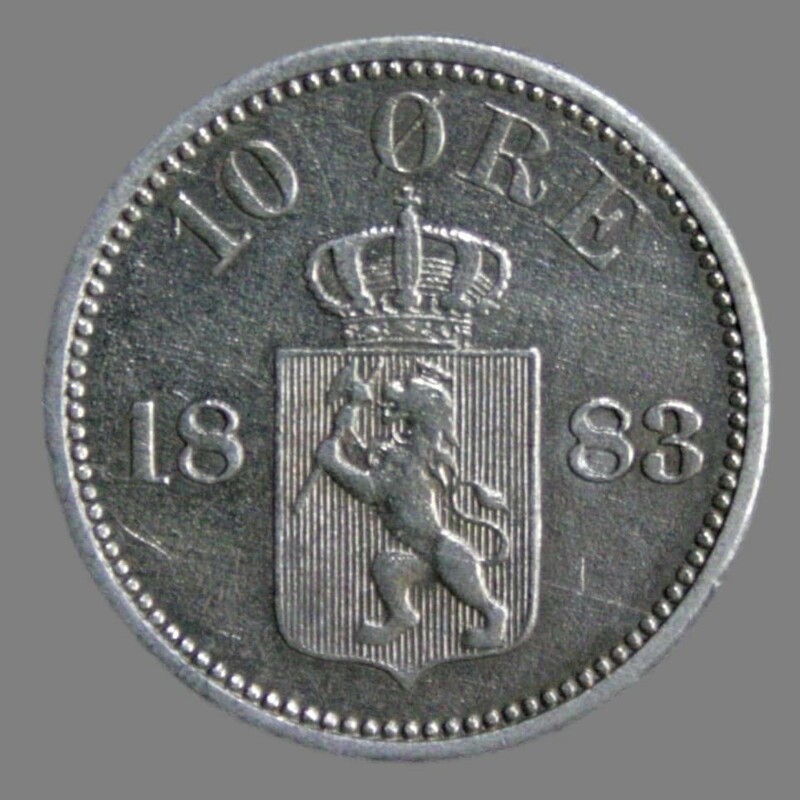 Weight: 1,32 g.
10 øre dated 1876, struck under King Oscar II. Grading: VF. Reference: NM (1992) 80 type II. 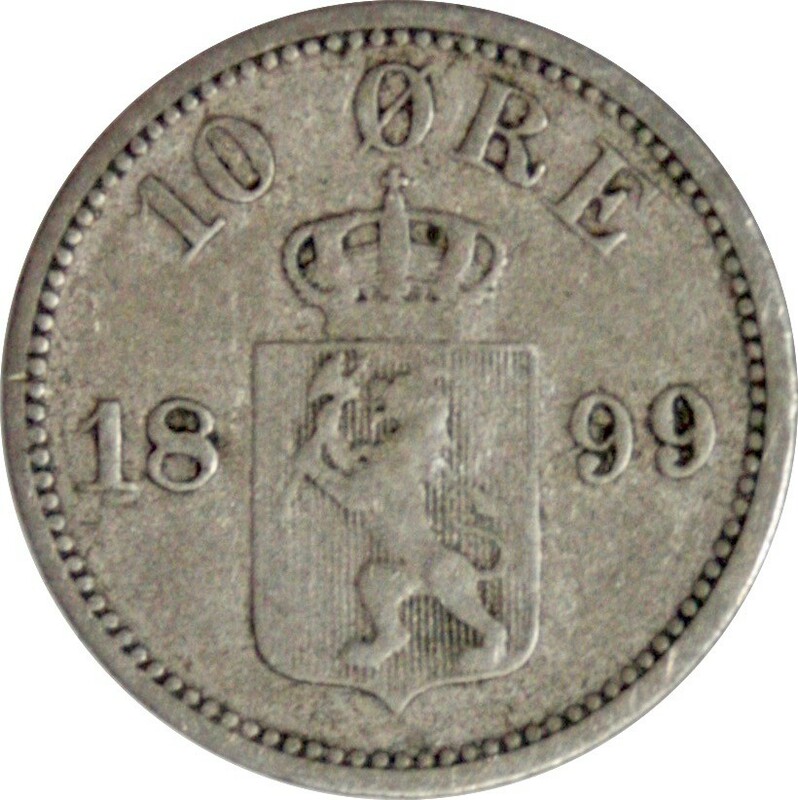 Weight: 1,42 g.
10 øre dated 1883, struck under King Oscar II. Grading: VF. Reference: NM (1992) 83 type II. 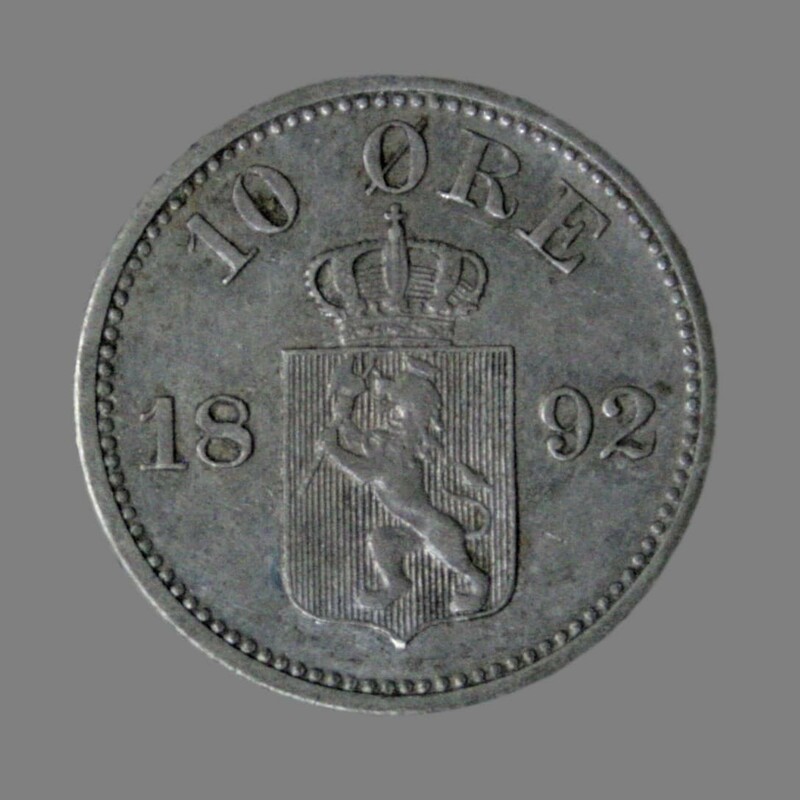 Weight: 1,43 g.
10 øre dated 1892, struck under King Oscar II. Grading: F/VF. Reference: NM (1992) 89 type II. Weight: 1,45 g.